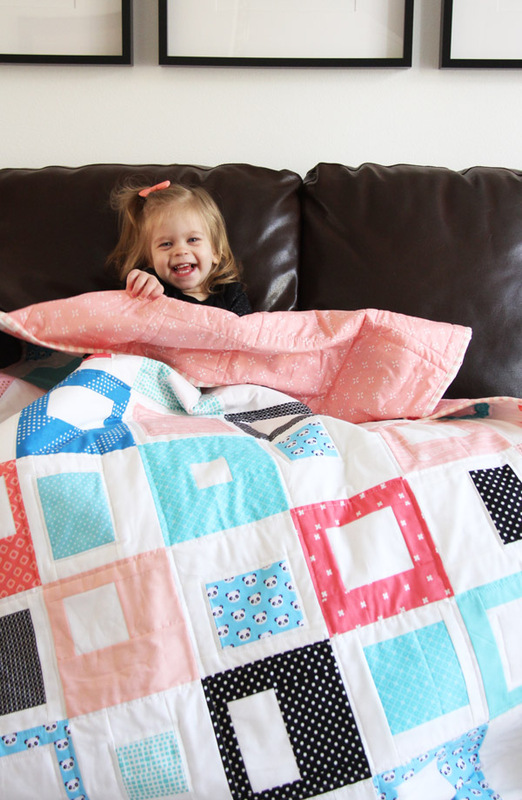 Oh I love this cute quilt! I’ve been wanting to update my Stack n’ Whack block tutorial for awhile now…and last week I started making blocks and I just couldn’t stop! The panda print is from the line Urban Zoologie from Robert Kaufman, and it goes great with a punch of pink and black. 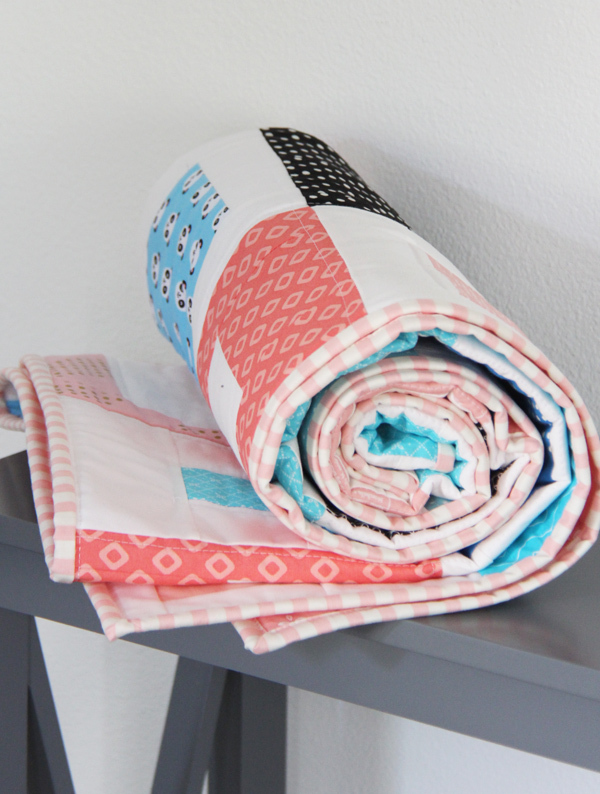 I love using one fun novelty print in a quilt with good basics and solids…it keeps it fun but still modern and clean looking. Jane will be 2 next month and I’m not okay with it. How did I have her TWO years ago already??!! I did minimal quilting this time, as I usually do on my baby/crib quilts. I never want the crib quilts to be too stiff, and just a little straight line quilting around each of the blocks and some of the center squares was just enough for this one. The backing is from Wallflowers, my first line of fabric for Windham, and I’m not sure what the binding fabric is. I machine bound it with the method in this tutorial. 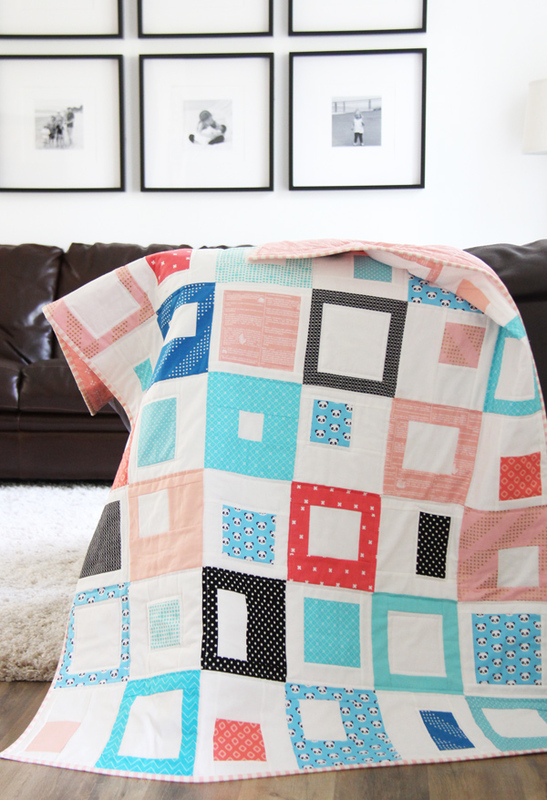 I’ll post a tutorial for how to make this quilt in the coming days. 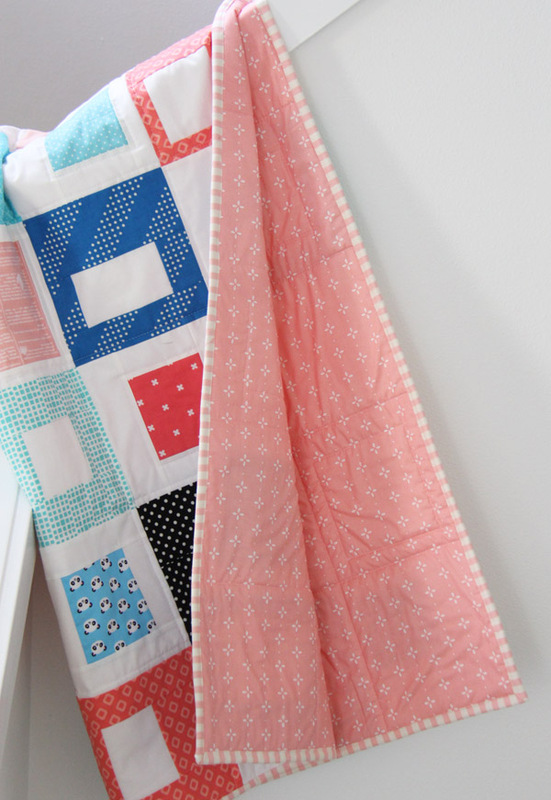 It’s one of my very favorite ways to make a quilt…and the best for beginners! She is absolutely precious! Great quilt, too! I adore this quilt. Your color combinations – you can come pick out colors for me anytime! That Miss Jane…..oh.my.stars…..is she cute!!! While I love the quilt, Jane took the show once again! She has always been personality plus! Absolutely precious! She does have personality…and stubbornness and attitude! ;) She is a firecracker that’s for sure! Looking forward to the tute. Lovely quilt and performer! Looks like a fun pattern for using some modern fabric from my stash! So cute!! and yes!!! Stop time – my goodness she is so adorable !! I love how fun and fresh this quilt is! And who can argue with a cute panda print? :) I’ve tucked this away for one of my next projects! I’ve never posted on a blog before. Now that I’ve retired from teaching, I think I’ll give the “digital footprint” thing a shot. I love this quilt. 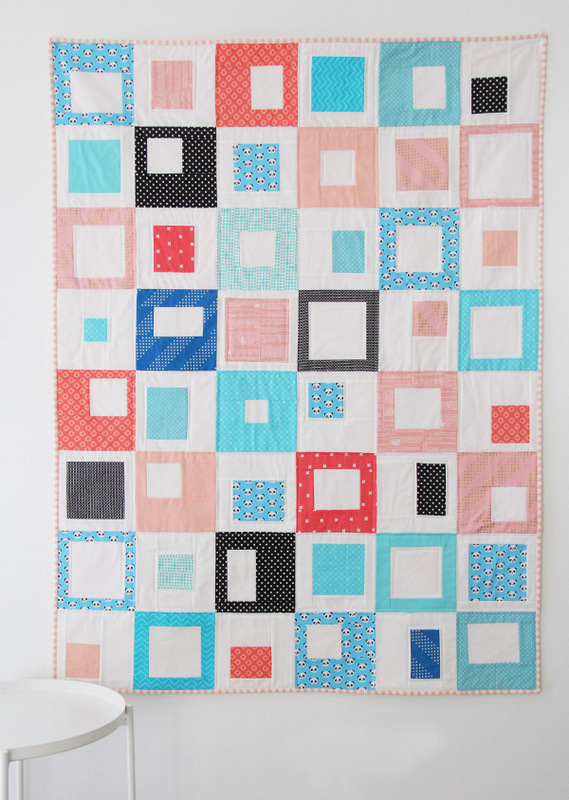 I’ve been quilting a while, but this looks fun and easy so I think I will try it. Just came across this tutorial and I love it. Already thinking about colors. It will be the next quilt I make. It has a modern feel to it. Thanks for sharing. Oh I LOVE that Diana!!! What a sweet gift….even better because it took so long and it was a labor of love! Slow and steady wins the race right ;) Thanks for the sweet comment!